Qatar Airways has launched another of its slightly crazy sales. This one has, frankly, some astonishing fares to Australia and New Zealand. I will say up front that these are ‘two together’ fares, so if you’re looking for a deal for just one person then you’re out of luck this time. 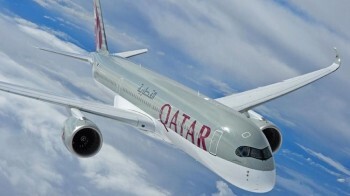 As usual, Qatar Airways has launched a range of discounted fares from all of the major cities where it operates in Europe. As usual, the best deals are not from the UK and will require you to start your trip elsewhere. It’s worth it, I promise you! Note that Easter is not restricted, which is handy if you have school age kids or want to minimise your time off work. You can book on the Qatar Airways site here. The best fares will not be found from the UK as you can see from the examples below. Here are a few of the better headline prices. These deals are all for business class travel via Doha. They are per person, based on two travelling – single travellers will pay more in theory. Do check though, as Qatar pricing can be all over the place at times. These prices are NOT the full list of discounts – they are just random examples I found to be quite good. The prices are a return flight per person based on when two people travel. You are looking for the red ‘Business Promo’ fares. Remember that these are only sample destinations. You should, for example, find other Australian destinations available for the Sydney price quoted above. You should also look at the Qatar Airways sale pages out of Brussels (click here) and Vienna (click here) as these can also have good pricing. These routes would (almost) all – apart from Australasia – earn 560 British Airways Executive Club tier points return (140 + 140 + 140 + 140) due to the change of plane in Doha. That is more than 90% of what you need for a BA Silver card. Australasia is 600 tier points for a return flight. The only exception is Athens. Athens to Doha is under 2,000 miles and only earns 40 tier points. That means 360 for a return trip (400 to Australasia). It isn’t all about the long-haul flight price. You need to add in the cost of getting to your starting point. More importantly, you need to build in contingency. You need to arrive early enough to ensure that you won’t miss your connection if your inbound flight is late. If that means staying overnight, you need to factor in the cost of a hotel. You may also want to pick an airport with a hotel on the airport to avoid messing about with shuttle buses. Remember that BA will no longer tag through bags to connecting flights when they are on separate tickets. If you are checking in a case, you will need to fly London to, say, Stockholm, wait for your case, clear immigration, go to Departures, check in your case and clear security again. This will take some time. As ever with Qatar, you should keep an eye on the aircraft. The most modern seats are on the Boeing 787, Airbus A350 and Airbus A380 fleet. I think that the full A330 fleet has been refitted now too. The newer planes have a 1-2-1 herringbone layout where passengers faces away from each other. The Boeing 777 aircraft are fully flat but have a different 2 x 2 x 2 layout, albeit they will be replaced by the amazing new Qsuite – but that is only on a handful of planes so far. Qatar Airways also uses short-haul planes on some European routes but these are configured with ‘proper’ business class seats. The Qatar website here if you want to have a look at the deals available. The sale ends on 10th November. Hat-tip to the Flyertalk community who found many of the fares above. Nice one. Picked up KL out of Stockholm for £1048. Was waiting for the sale! I love the idea but the practicality is woeful. Perhaps not if you live miles away from a hub airport ? I’m 30 minutes from LHR and 45 or so from LGW. Nothing else matters. I really want LHR-BKK or LHR-SIN but I looked at say ARN-BKK and I’ll admit I found some decent fares. But I have to get to Stockholm. With 3 of us. The outward is not that bad really. You go to LHR, get to ARN, collect bags, go through security (both ways), fly to DOH then change and on to BKK. All the long stuff comes after the short stuff. But on the way back, I have to go to BKK, then fly to DOH, transfer and onward to ARN and then, just a few miles from home, I have to go collect my bags, check in again, go through security (both ways) and then fly to LHR where I go through security and collect bags – AGAIN ! This last bit kills it for me, more so than the costs of getting to a EU airport and the contingency costs of possibly overnighting. Having done ARN-AKL in september/october, I must agree, it’s a complete inconvenience having to do the LHR-ARN, ARN-LHR at each end. Thankfully, as we really like Stockholm (beautiful, easily navigated, not as expensive as rumour suggests), and it saved us between £2,000 and £4,000 EACH, I swallowed my pain and wallowed in spacious luxury for an hourly cost less than flying Ryanair. It’s not compulsory you know. open jaw back to London? I’m not finding anything like these fares Berlin to Jihannesburg. Has anyone found any good JNB deals – from anywhere? Your best bet will be into 2018 I think. Best options will have gone a couple of days ago. What do we think the likelihood of a similar Qatar offer which would enable us to fly to Oz in Jan and back in Dec for a similar price? I’m tempted to go for this, but that means canning an already booked return leg of a 2-4-1 in June…. Thats a hellva trip or do you Iive in Oz? Living an itinerant life in Oz at the moment, with summer and Christmas visits home to see elderly parents. Spent the last nearly two years travelling around the eastern states and heading west next year. Worked hard for many years and now enjoying an extended break before we settle down again. I had a look at the Qatar sale in January 2017. Started 9 January. We have CX avios flights booked 8 January. Probably too much of a risk to wait, though it will hurt losing 87.5k avios + cash. Still, not yet flown Qatar nor been to Stockholm and both sound good. Qatar have now added Pattaya (Utapao) to their Thai destinations. Good for anybody interested in visiting Koh Samet or Koh Chang. Air Asia and Bangkok Airways offer flights from there to other destinations. Louie, go,for,it Stockholm v pretty too make a city break one end of the trip. Done, Polly. Looking forward it. Let’s try that again. Looking forward TO it! Yes, Chiang Mai starting very soon. With this huge capacity premium fares to Thailand will lijely remain cheap. Thailand easily the best base to explire seAsia from fof anybody doing two or more countries. I have a silly question…how do I check my Qatar booking on BA.com? I can’t use the booking ref in MMB but think there is a way to check the tier points and that the booking itself has the right exec club details using the ref or eticket number. Ruth, your QR ref must be used on the QR website. It owns the booking now. You can check your TPs etc on BA calculator. To make sure your correct exec no is in place log in and do to personal information and update which program you want to be credited. Or you can do this in the lounge,mornatbthe gate, as we had to one time. I noticed before boarding it was still on miles, useless. Are there any good beaches near BKK/SIN/KL or it’s better to take another flight to Phuket? Langwaki is pretty nice in places. A short hop from BKK or SIN , I quite liked the casa del mar hotel. I still need to work out the dates and see if it’s possible to leave London on a Friday evening and come back the Sunday after next one. If you have time & can be bothered a 1 hour speed boat ferry from Langkawi onwards to the Thai island of Ko Lipe is well worth it. Cleanest beaches near BKK without taking another flight are Koh Samet and around Rayong, the latter has many resorts and is very auiet despite being just an hour along the coast from Pattaya. Beaches by Pattaya are not so clean and very busy. Going to Singapore in April 2018. Ideally want a direct flight from Manchester. Any advice on whether I should wait for the sales for economy tickets? Black Friday or when? Singapore Airlines or Virgin. Also I have 40,000 Virgin Atlantic points. And is there a more comfortable economy seat that anyone can advise on? An appropriate time to say thank you to Rob/Raffles for getting me into this malarky a few years ago. Wife and I ending our ex-VCE-BKK trip in what feels like deserted HKT where the beach outside the Slate (was Indigo Pearl) and the hotel itself are almost empty. Used the £££ saved on the ex-VCE fare to fund a 10 night trip in Bhutan – which was absolutely brilliant…..I implore everyone to go!! – whether you like the QR service, at least it’s consistent and the lounge in VCE is fine, with an outdoor area that has views of the city across the runway. Only thing I’d say to those worrying about re-checking bags at ex-EU point is that if positioning home on Oneworld, QR will through check your bags to home on the different PNR. Thanks for the tip, Metty. Now this ex-EU sale looks more attractive to us. Is this something you can just ask at the QR check-in desk in BKK? Do you just give them your VCE-LHR boarding pass and they take care of it? You will need to provide the QR check-in agent with your BA booking ref (PRN) and they will issue you with a boarding pass for the final leg of your journey and through-check luggage to London. I usually just confirm the bag is on board the BA flight with the dispatcher when I’m boarding (but it always is). I’ve had 100% success with QR through checking the bags to London. BKK especially smooth, ‘is ARN/OSL/VCE your final destination?’ but that’s been the same guy 3 times (Chayiot?) who is very helpful. Even MH at Phnom Penh, when travelling MH in Y to connect at KUL with BA J to Heathrow were fine, although I did overhear another guy at an adjacent desk asking for something similar. When I asked why it was ok for me and not for him the check in person said ‘because you are travelling in a premium class on the next sector, he isn’t, plus you asked nicely and he didn’t’. We’ve gone for this. Could do with some advice as to who to credit. I dislike what BA has become and actively avoid them except for using avios. We fly to and from Oz twice a year and now we’ve used all our 2-4-1s are highly unlikely to fly BA long haul again given we have plenty of other options on this route, within and outside OneWorld. We’d get 580 tier points if we credited to BA but to get silver we’d need the four qualifying flights and the cost of flights to Stockholm are much higher than Norwegian and our only other planned European trip in this tier point earning year is to a destination not served by BA. As far as I can see, silver wouldn’t really get us anything of use if we don’t intend flying much on BA. Or am I missing something? We have Priority Pass cards with Amex Platinum and usually fly Virgin Australia internally. If not BA, then who? Never flown Qatar before but if they keep doing deals like the current one, we probably will again. I have a stash of AA miles and their redemptions from Europe to Oz are a fraction of the cost of BA ones. Could we get OneWorld status through either of them (I haven’t done my research I admit!)? Or just not bother with status if we don’t expect not to be flying business class? Silver status is good for up to 27 months, depending on when your year end (rest of current year, all next year, four month grace period) and you’d be getting free seat selection and lounge access across all of oneworld. I woukd strongly recommend two economy BA weekends away to get the extra 5 tier points x 4 plus the four segments. Total cost would be less than one way seat selection cost in CW …. What’s the four month grace period? My year runs out early July and I won’t make silver again until next October after my Qatar trip (which will give me silver for 20 months). I’m assuming I won’t be able to use the BA lounge though in Singapore as will be bumped down to Bronze at that point? The gap between the end of your tier point year (8th of the month) and the expiry date of your card (31st of a future month). Actually 3 months, I think? Yes, the most it can be is two months grace. Like ours ends Aug 1st but our card is then valid until end of sept.
Ruth, if you get your 4 cheap HBO BA sectors done or whatever no of TPs you still need, before your SIN trip, you will be silver foll that trip. Sadly as bronze you won’t get in unless you get a couple of lounge passes with a gold Amex in the meantime. Louie, yes you can get silver or sapphire with either QR or AA. But l think BA holds more sway with lounges across the us. AA sapphire doesn’t get you into lounges on internal flights, but do check that. AA also have those late fee charges, where as we can book an avios flight to dub a couple of hours before departure. Whatever suits you,minutes check them all out. We left QR silver to be BA silver as QR cs are atrocious. Usually only one J seat available for upgrades etc. But that could be better now. Currently on a Hel HKT on QR J now. But if you fly in business won’t you get that anyway? But if you have no plans to fly in CW? Do any other OW airlines charge for seat selection in business? Two years is a long time and plans can change. If I was so close, I would do it. Been trying to get on Qatar website to book a deal into SYD and out AKL.Couldnt get anywhere with it on either I phone 5s or I pad.so used skyscanner and booked with Jetabroad.Is it my phone and pad or am I doing something stupid?